What do your kids use when they do their arts and crafts? Recently we tried Green Kid Crafts and had an amazing time making wonderful crafts all with green products that came delivered to us in the mail. 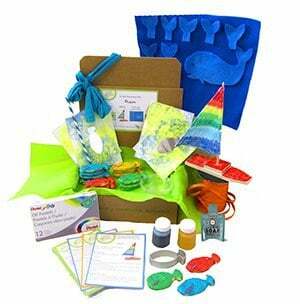 We had the Green Kid Crafts Ocean Craft box. Green Kid Crafts is a mom-owned and operated green company that uses safe and sustainable materials to create activity kits that build creativity and confidence while fostering children’s love and respect for the environment. 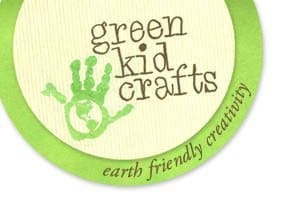 Founded in 2010 in Anchorage, AK, Green Kid Crafts is the originator of earth friendly craft kit subscription programs. The company’s founder, Penny Bauder, is a mother of two and an environmental activist who started the company as a way to spend more time with her children while providing a convenient solution for families to enjoy enriching experiences together. She holds a B.A. in Environmental Management and an M.S. in Environmental Science. As an employer, Green Kid Crafts seeks to provide flexible employment opportunities for parents and operates a virtual office with team members working at home from California to Alaska to Connecticut. In 2012, the company moved it’s primary headquarters from Anchorage, AK to San Diego, CA where it is now based. Green Kid Crafts’ mission is to inspire future generations of environmental leaders while serving as a model for sustainable business and growing demand for earth friendly, sustainable craft supplies. We work with local chapters of the Boys and Girls Club to do crafting activities in underserved areas. All of the materials in Green Kid Crafts line of craft kits and supplies meet our standards for sustainability and are reusable, recyclable and/or compostable and sourced from nature. You can see more specifics on our “eco ingredients” here. Green Kid Crafts delights kids and their parents with fun, creative and earth-friendly craft activities, delivered right to their door each month! Every Discovery Box is packed with three unique and engaging activity kits designed to foster a child’s creativity and confidence while developing their respect and love for the environment. Subscribe to Green Kid Crafts for $23.95/month, or send a gift subscription for a 3, 6, or 12 month subscription plan. Sibling subscription packages are also available. Subscribe or learn more at GreenKidCrafts.com. I have worked with and help promote numerous Green Companies and Products in the past and I have to say that Green Kid Crafts has my full support. I love the fact that the box of crafts is theme oriented each month, that everything needed for the craft is provided, and that the products are green. I really love that through their initiative to leave a better carbon footprint through their Green Kid Crafts boxes, that they are also giving back to different organizations. The recommended age rating for the Green Kid Crafts boxes is age 3 to 8. I agree with the age ranking based on the Ocean Box that I have used with my soon to be 6 year old. It is a great arts and crafts project that my youngest loved especially with the help of mom. My little one was truly excited from the moment the little brown box arrived and she opened it up and saw what was inside. She really loves doing arts and crafts. 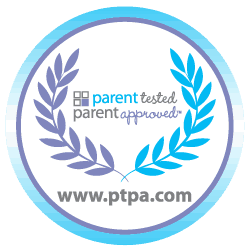 Recently, Green Kid Crafts won the Parent Tested Parent Approved Award. A big congratulations to Green Kid Crafts, it is well deserved. You can order Green Kid Crafts subscriptions in the US and Canada. If ordering for US delivery, shipping is included. Canadian delivery costs an additional $9.50 a month. You can read all about the various subscription options on the Green Kid Crafts website. Since Green Kid Crafts is new to Canada, they currently have a promotion for Canadian Orders. To save on your Canadian Order, CLICK HERE. You can stay in the loop with Green Kid Crafts on Facebook, Twitter and Pinterest.